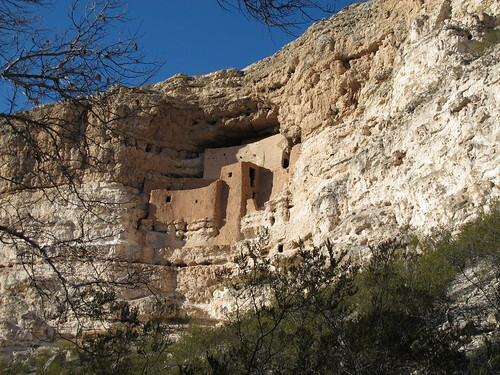 This place is the inaccurately named “Montezuma Castle,” built circa 700 AD by the Sinagua people (also not the correct name – sin agua means without water and was the name given to them by the Spanish). It lies south of Sedona in Arizona. More on the site here. It has been a strange week, seeing Frank Lloyd Wright’s Taliesin West and Paolo Soleri’s Arcosanti and then feeling so much more for this little place. Interesting fact: the U.S. federal monument service was part of Roosevelt’s New Deal, and this site was one of four chosen for preservation when the program was announced. 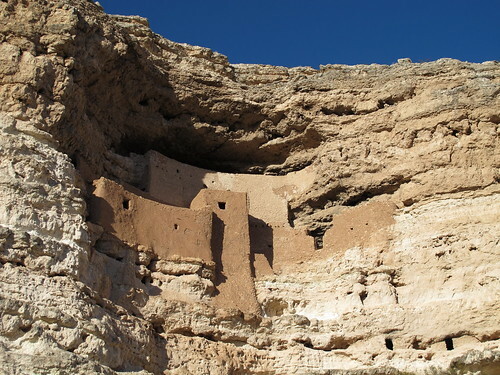 This entry was posted on Sunday, January 1st, 2012 at 11:10 pm	and is filed under architecture. You can follow any responses to this entry through the RSS 2.0 feed. You can leave a response, or trackback from your own site.